or what do I need to lose in order to gain? 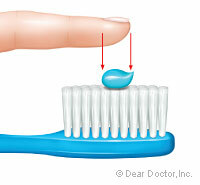 It only takes a pea size of toothpaste to properly clean your teeth. Anymore than that and its a waste of money. Here is an example of how much toothpaste to use, which is no bigger than your little fingernail. While I Love my George Foreman grill, it is a pain to clean. The simple solution is to use a piece of aluminum foil over the inside of the grill or wrap what you're cooking in aluminum foil. What you focus on e-x-p-a-n-d-s. Notice your internal dialogue and choice of words. Continually talking in lack only reinforces the lack mentality. Shift your focus and watch it e-x-p-a-n-d. Lip service means to say something and never really actually do it. Phrases like "I'm gonna" usually never materialize anything. Lip service pretends to be what it isn't and do what it won't. If you're "gonna" then alright then, let's see you DO IT! Stock foods that you can use to prepare something in a heartbeat. I keep an abundance of tomato sauce, diced tomatoes, stewed tomatoes and tomato puree on hand at all times. When they go on sale, I scoop them up!